For many businesses, this is a huge change in how often their posts are being seen and can truly increase a company's exposure and customer count over time. 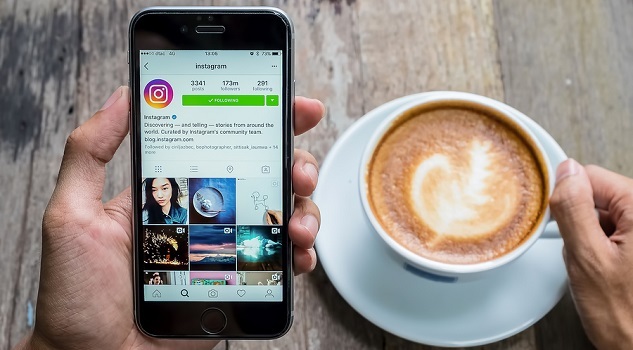 That's why it's so vital for companies, especially those in the contracting, building, and remodeling fields, to utilize Instagram as a promoter of their work, earning them new business and recognition for their hard work. Unfiltered photos - Your potential clients want to see your work in natural lighting and without the use of filters. Luckily, this makes adding a post much easier on your end! A quick, fact-based caption - No need to be overly clever here. Just post the pertinent information you think people viewing this photo may benefit from. Relevant hashtags - Though this piece may take up more time, it's one of the most important. Adding hashtags like #remodel or #newbuild lump your photo into searches from users who are looking to remodel or build a home, meaning people who don't follow you can easily see your work. Not only do your posts allow users who don't follow you to see your work, it also gives potential clients who are interested in your business a singular place to see a display of the types of work you've done in the past. This is a platform they're familiar with, so flipping through is easy and comfortable for them! Instagram isn't just about showing off your work. It's also about connecting with relevant people and businesses who are in your area or whose work you admire. This can lead to networking opportunities, as well as another avenue for people who follow those accounts to find your work. You can even set up advertising with other businesses, asking them to showcase some of your work on their account and vice versa. This can be another great way to gain exposure from people you may have never expected to hear from! Instagram is a powerful and free marketing tool that too few businesses don't take advantage of. Create powerful advertising through posts that showcase your projects and you'll find your business increasing through the exposure generated off this amazing platform! You can easily create an Instagram profile and begin sharing your projects with the world!